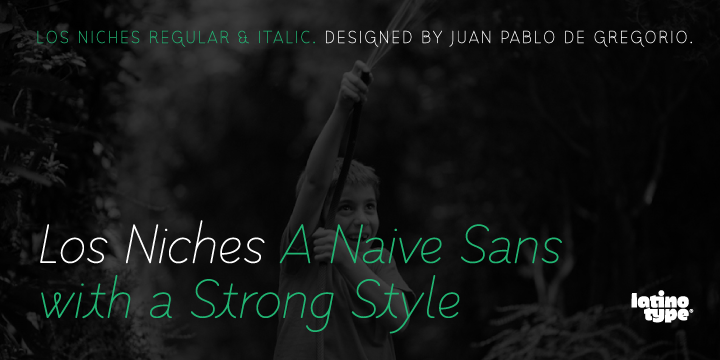 Los Niches is a typeface created by Juan Pablo deGregorio and published by Latinotype. Ideal for catalogs, Magazines or product packaging this font is a combination between modern characters and old handwritten letters. A font description published on Wednesday, December 5th, 2012 in Fonts, Latinotype by Alexandra that has 3,099 views.